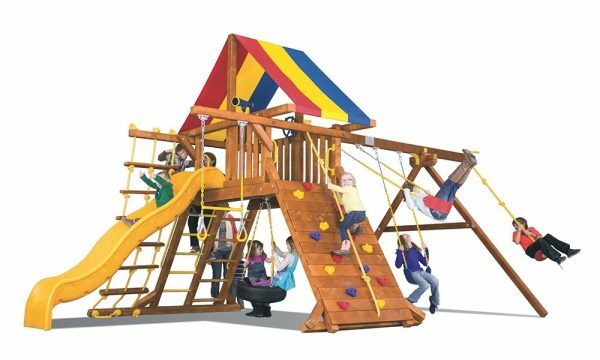 Swings-n-Things is the Exclusive Dealer of Rainbow Play Systems and have been in service for over 30 years. 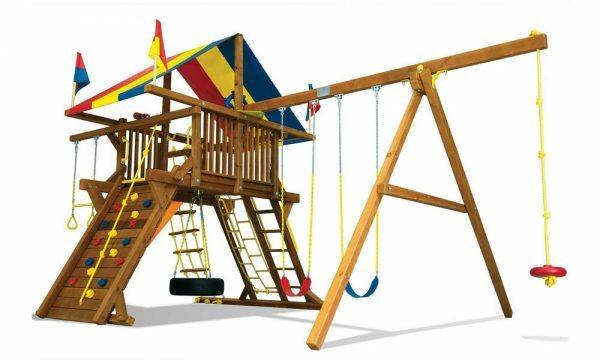 For over 3 decades parents around the world have trusted Rainbow Swing Sets to make their children’s dreams a reality. 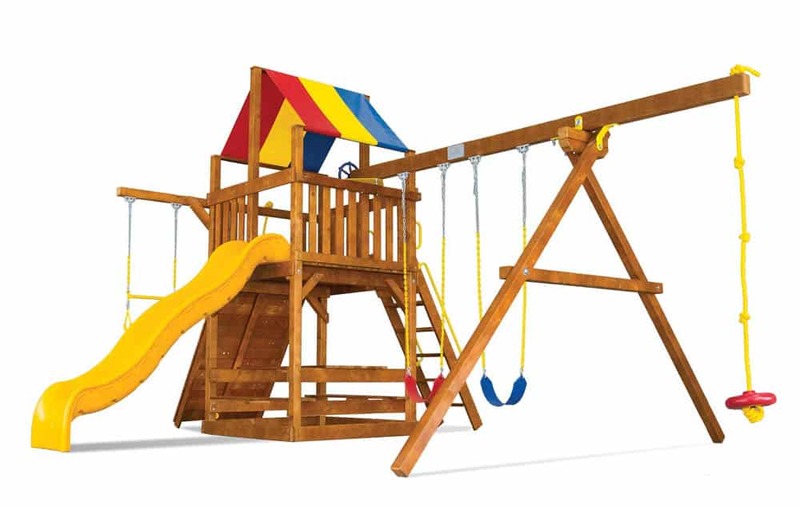 You can truly build the Swing Set you envision with over 200 designs to choose from! 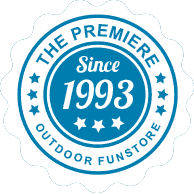 Rainbow is proud to have the largest selection in America creating unique adventure for any household. The longevity and durability is incomparable and we believe this so much we include a LIFETIME WARRANTY on every model. 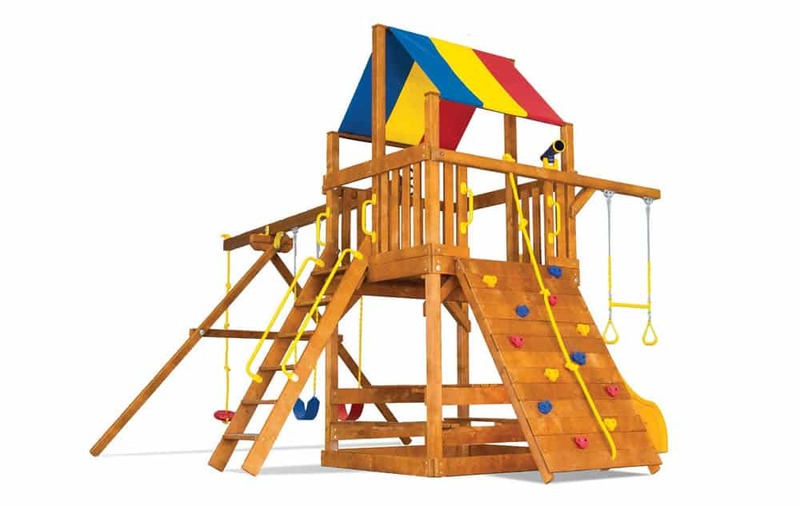 Each model is assembled with commercial grade hardware and hinges. 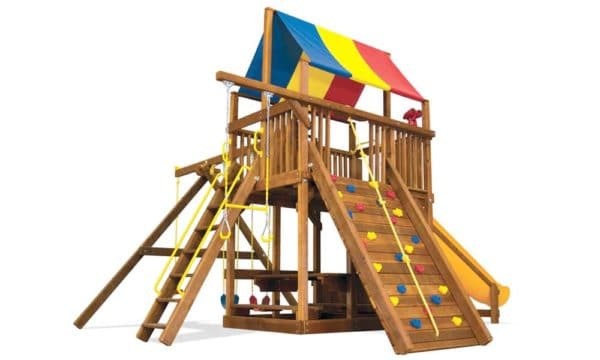 Rainbow Play Systems is environmentally conscious and focuses heavily on SAFETY. This is why every centimeter is smoothly sanded down eliminating any jagged shards of wood. The corners are also rounded and fastened together with countersunk bolts. Safety is our number one commitment and we invite you to check review for assurance. We take care of everything from beginning to end. Our relationship doesn’t diminish when you walk out of our doors. We are just getting started! We are a company that does Full Rainbow Services so you can trust that what you are purchasing will last you until your children no longer live in the house. We have a fast and efficient installation team to set it up for you. You’ll never have to worry about needing new parts and having old ones replaced. We have you covered with spare parts just a phone call away and will be shipped to you in no time at all. We give you the serenity in accepting the things you can not change, such as the weather. Never feel concerned with element damage. You are completely covered by the Warranty and we have a professional repair team that can handle the toughest jobs. 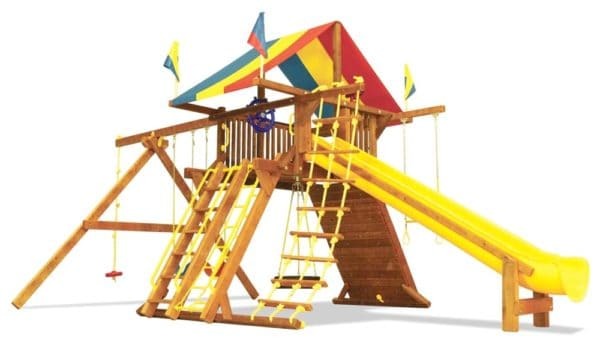 Whether you have a brand new Playset or a fading one, our team does an excellent job power washing and staining. 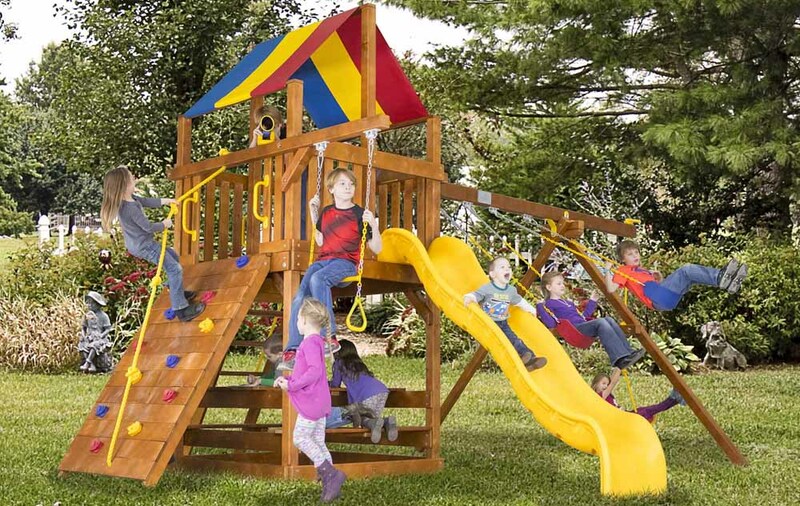 We do it all from a to z. We’re with you as long as your Rainbow Swing Set is!